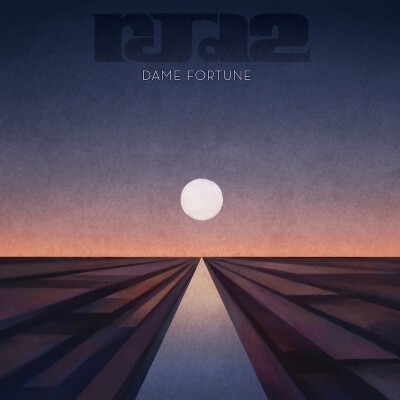 Elaborating on the sounds that those familiar with his older works would recognize, Philadelphia-based electronic artist RJD2 delivers a flawlessly articulated collection of music in Dame Fortune. With a career that began in 1993, RJD2 has compiled an impressive discography over the span of 20 years. With 10 full-length albums now under his belt, he manages to continue to genre-bend and alter our perceptions of electronic music, indie rock and jam-band style funk. Dame Fortune is a journey as much as it is an album, and fans of past releases will not be disappointed after finishing this journey. Dame Fortune begins on an ominous note. With the short but mysterious instrumental titled “A Portal Inward,” the listener immediately falls into a paranoid dream state as a hypnotic piano line screeches a rapid melody paired with the blaring sounds of distorted electric guitar riffs. Immediately, we’re brought out of the trance-like state as a Latin-influenced beat, reminiscent of Sister Sledge’s “We Are Family,” begins in “The Roaming Hoard.” The album then begins to fade into the classic hip-hop and jazz elements that RJD2 is known for, with tracks like “Peace of What (ft. Jordan Brown)” and “The Sheboygan Left,” which complement one another in a way that smoothes the edges of the first few tracks in the album to create a consistent, flowing sound. “A new theory had to be boring,” a male voice echoes throughout the next track on Dame Fortune, titled “A New Theory.” The track revs and builds like an engine, mimicking the sound of a high-tech car on a racetrack that gave me a little bit of anxiety. However, it felt as if that were the music’s intended sensation, as the next track, titled “We Come Alive (ft. Son Little),” reverts into a relaxing, indie-rock beat paired with smooth male vocals. The album gradually slows down toward the end. “Up in the clouds (ft. Blueprint), a down-tempo hip-hop track with a piano accompaniment, mellows out the feel of the album before breaking into an electronic glitch beat reminiscent of early Beats Antique. The music on the track is harsh on the ears but conveys the regretful and somber attitude with which Blueprint raps. The final track on the album, “Portals Outward,” opens with a short Koto instrumental followed by a fast and loud guitar melody before quieting down and fading away in under a minute. The album begins and ends similarly to a video game, and I can almost picture a virtual character being lifted out of a portal as the final track plays.